You’ve landed yourself in DC, most likely for a work trip like I did, and you have less than a few days to try and get some sights in before returning home. What to do? Where to eat? Museums?!?! DC has a plethora of options that could easily keep you busy for a week. So I’ve put together a guide highlighting my favorites, collected over the many times I visited DC for work. First up (and most importantly): FOOD! The vegan tacos at Chaia are some of the best I’ve ever had. Period. Slipstream: Fresh, clean interior and a breakfast to match. Go for the Breakfast Bowl (plus avocado and pulled pork) or the mushroom + goats cheese toast (plus avocado). Their non-dairy coffee art is also some of the best I’ve seen, and it uses a unique blend of cashew milk. Classic Italian gelato at Dolcezza. Start the day right at Slipstream. Chaia: Tucked away in a backstreet of Georgetown, this vegan taco joint is my favorite places to eat in DC. They source seasonal and local produce where possible, and their tacos are some of the best veggie ones I’ve ever had. If it’s on the menu, you have to get the squash taco. 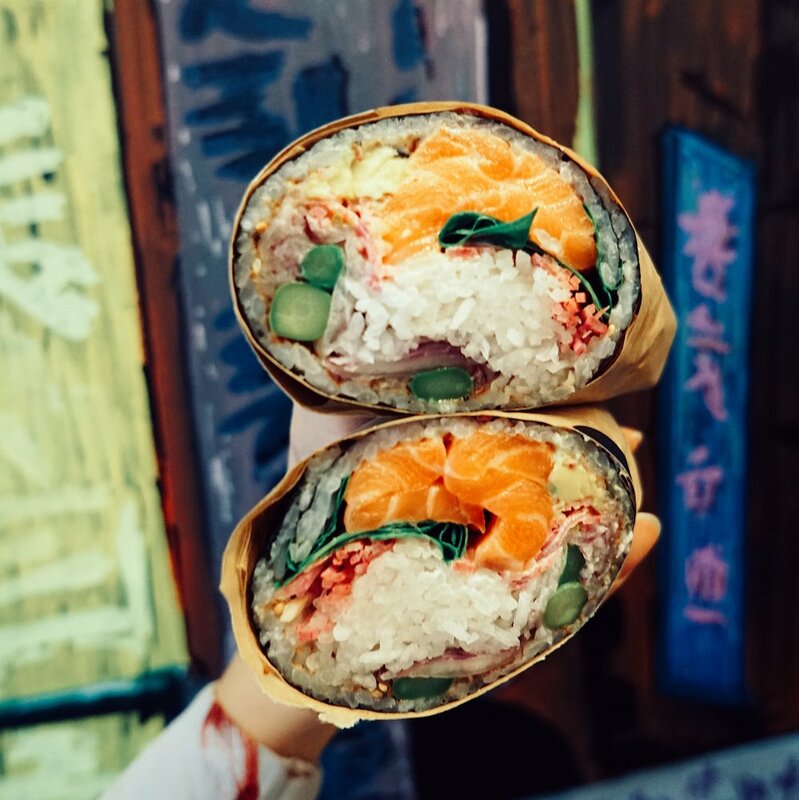 Buredo: Two words – sushi burrito. 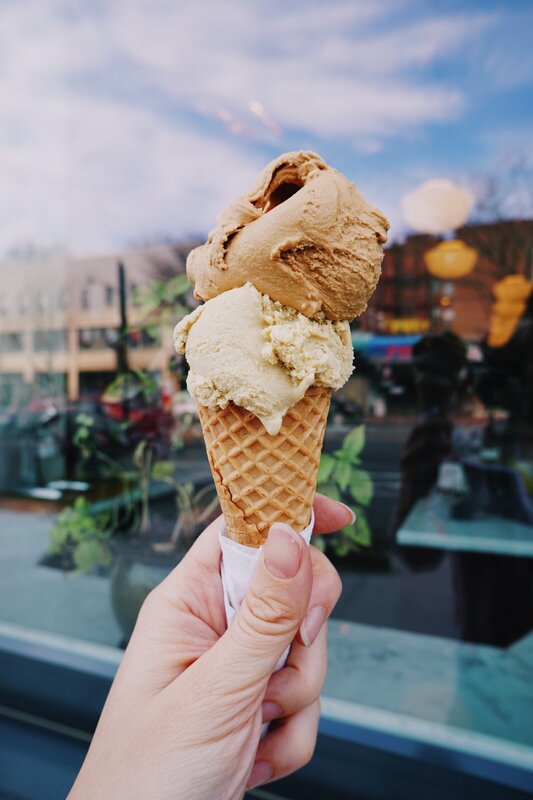 Dolcezza: I’m usually all about my unique, chunky ice cream flavors, but this gelateria is an exception. You can’t go wrong with the roasted pistachio and salted caramel. They also serve a great espresso. 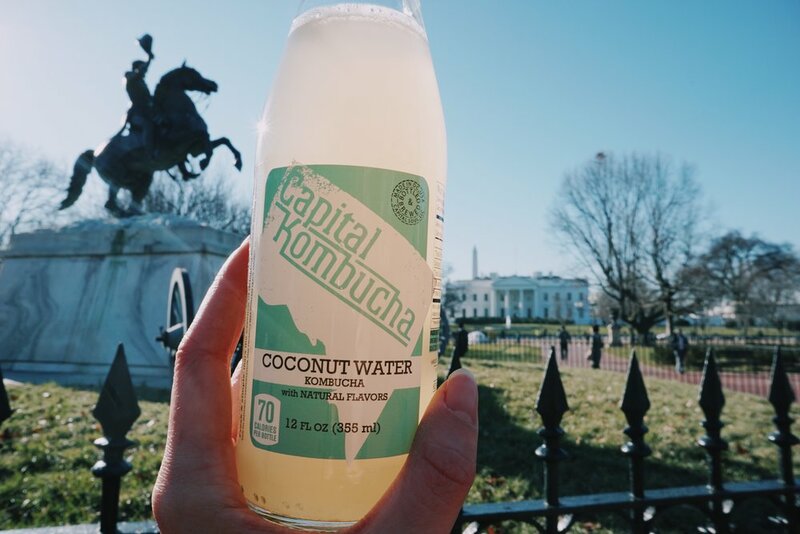 Capitol kombucha: This isn’t a location, but a brand of kombucha available in the DC area. Their coconut water flavor brings this probiotic beverage to a whole new level of tasty. I bought mine at Whole Foods. Churchkey: If you’re looking for a low-key yet stylish bar where you can have a beverage after a long day, Churchkey is a great option. In addition to cocktails, they have a comprehensive beer list. When you’re short on time, going on a run can be a great way to see all the sights. Tailor your route to include The White House and The National Mall, the latter which constitutes the Lincoln Memorial, the WWII Memorial, and the National Monument. If you only have time to see one museum, I really enjoyed the United States Holocaust Memorial Museum. Tickets are required from March 1 - August 31; all other times of year are free. To/from the airport: Reagan National Airport is the closest airport to DC. From Reagan, you can catch the Metro to downtown. Alternatively, a taxi will cost about $15-$20. Dulles Airport is located 26 miles from DC. The easiest way to get to downtown DC is to get a shuttle bus (Supershuttle), taxi, or rideshare (cost about $60-$68). Washington Flyer also offers a Silver Line Express Bus that drops off at the Wiehle-Reston East Metrorail station about 15 minutes away; from there you can access downtown. The Silver Line Express bus fare is $5. Purchase tickets inside the airport at Arrivals Door 4. BWI Airport is furthest away from downtown, but often has the cheapest flights. You can get to downtown via the Amtrak train route that drops off at DC’s Union Station. A reserved seat on the train will cost $15-$30. To/from Union Station: This is the main station in DC, and it's very close to downtown. The station is well linked with public transport, and is a cheap taxi or rideshare from most downtown locations. Walk: Many of the major sights are located within walking distance of each other. Rail and Bus: DC has a well established network of rail and bus systems (Metrorail and Metrobus). Metro operates from 5 a.m. to midnight on weekdays and from 7 a.m. to midnight on weekends. There is also the "DC Circulator", which is a bus that travels along six specific routes designed for easy-on, easy-off access at points of interest (only $1 per ride). Questions on planning your visit to DC? Drop us a comment below or say hello @nutritiontraveller. Post updated on October 19, 2018.